Hi Folks! One of my favorite Middle Schoolers just graduated this year and I couldn't be more proud. She's had enormous challenges, yet she, helped by her very supportive family, pushes herself to succeed every single day. 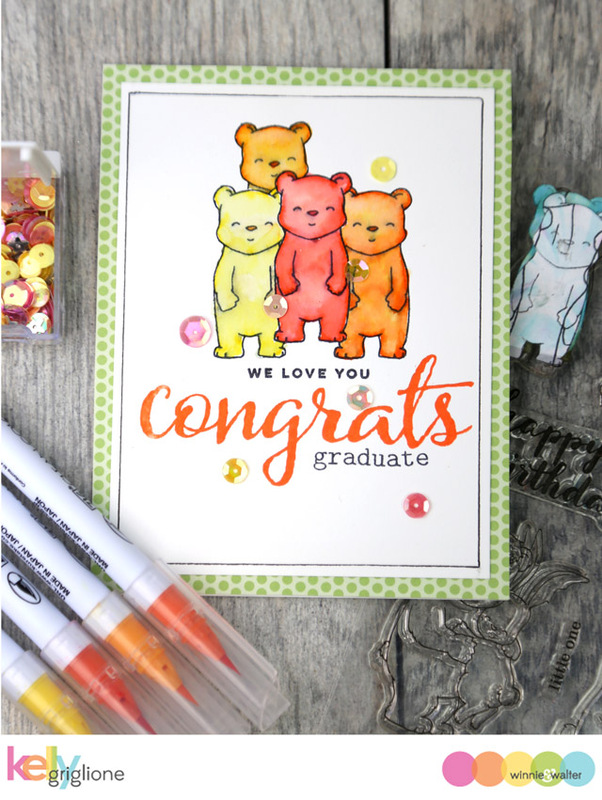 Her favorite color is orange, so I thought it would be great to have some orange gummy bears from Welcome to the Family with Evelin T Designs congratulating her on her graduation. Since we have four members in our family, I created a crowd of four by stamping the darkest bear in the middle, masking him off, and then stamping the remaining bears. 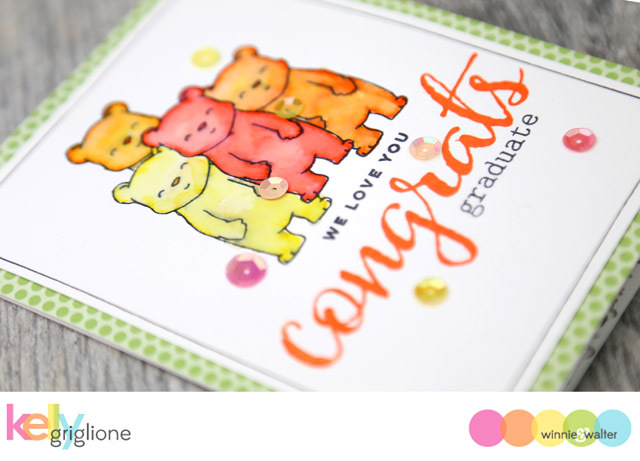 The bears are watercolored in different shades of orange. 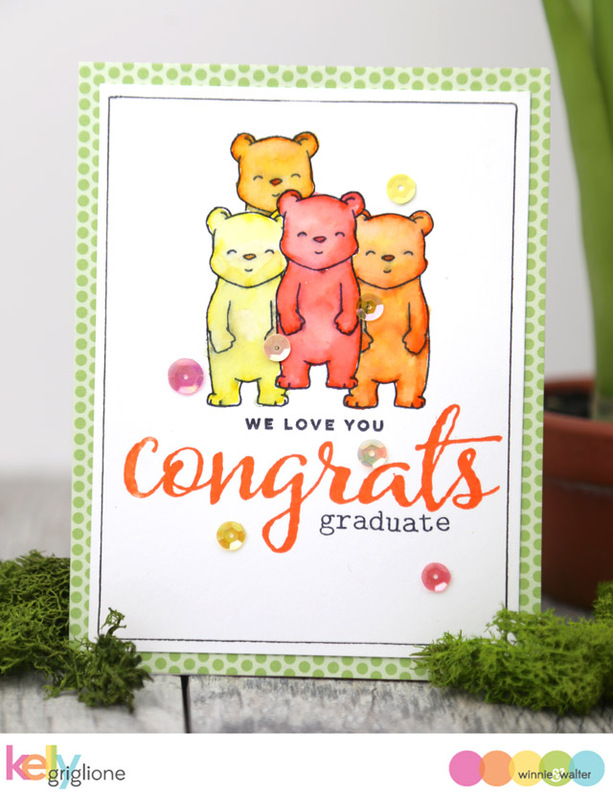 I liked using the "we love you" sentiment from Sentimental: Love because it further indicates that the bears represent our specific family. The rest of the sentiment is from the classic The Big, the Bold and You set. Here's a peek at the inside of the card. If I'm not lining the entire inside of the card with patterned paper, I usually pick 3-4 scraps of paper from my drawer and layer them towards the bottom. And here's the graduate reading her card with her mom. Love those smiles! They are the sweetest people ever! I get more use out of this bear from Welcome to the Family with Evelin T Designs than I ever anticipated. He's not just for little kids; I've used him as the focal point for birthday, graduation, friendship, and even my Father's Day cards this year! super adorable card :) thanks for sharing the beautiful photograph, they look so happy! 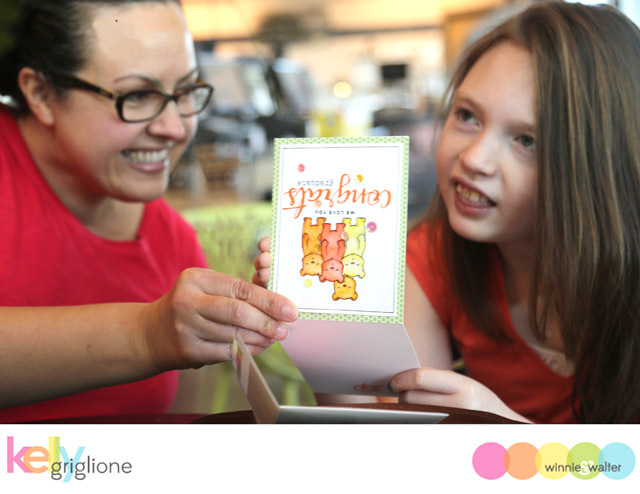 I love the effect handmade cards have on people, its a great way to show our love for those we care for. This Bear family is as cute as your own, Kelly! a very sweet card!